Teaching children how to prevent accidental fires should be a significant part to any fire safety lessons or curriculum, and Smokey the Bear can help! 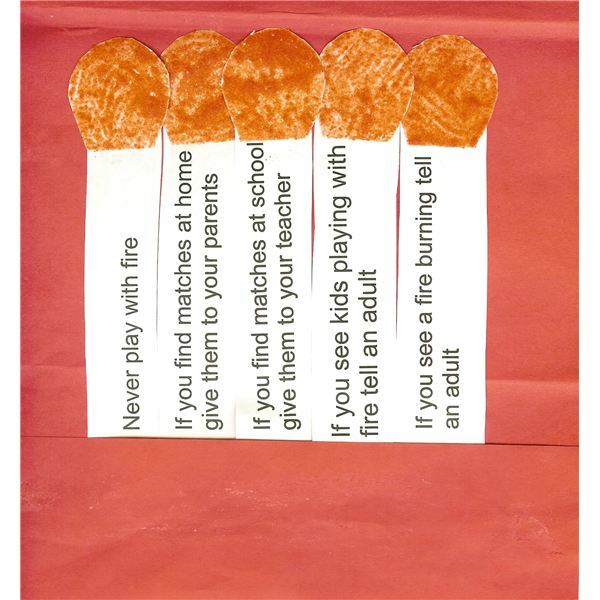 Use this Smokey the Bear preschool craft to remind your students that the choices they make at home, at school and while playing with friends are a crucial part in preventing fires from starting and spreading. Your students may or may not be familiar with the Smokey the Bear campaign. You can find information about Smokey and his fire prevention campaign – as well as additional teaching lesson plans and resources to use in the classroom – by visiting the official Smokey the Bear website. Students will then create their own visual reminder of these important fire safety and prevention rules to share at home and with others. Gently stir in a small amount of water with the red Jell-O until the mixture is spreadable. Keep in mind that you do not want the consistency to be too thin. 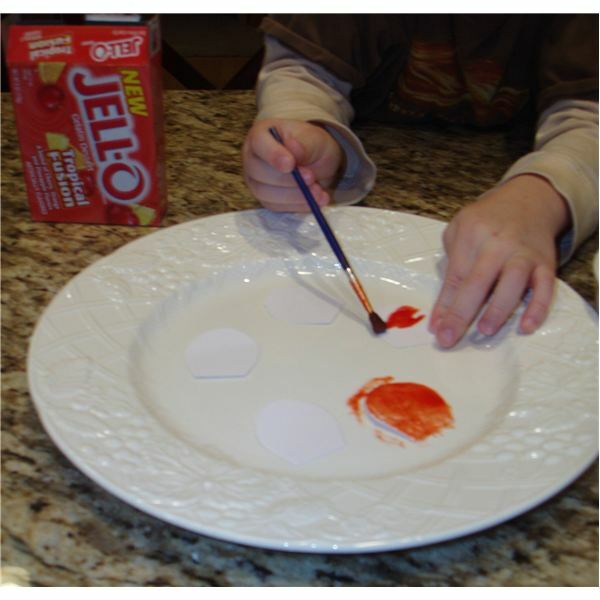 Children will use their paintbrushes to "paint" 5 of the white construction paper "match heads" with the Jell-O and water mixture. Set papers aside to dry. While waiting, continue on with the next step. Using their child safety scissors, children will make cuts along the black lines separating each safety tip. The cut should run from the end of the paper to the solid black line a few inches from the bottom of the paper. Children should not cut all the way down to the bottom of the paper. 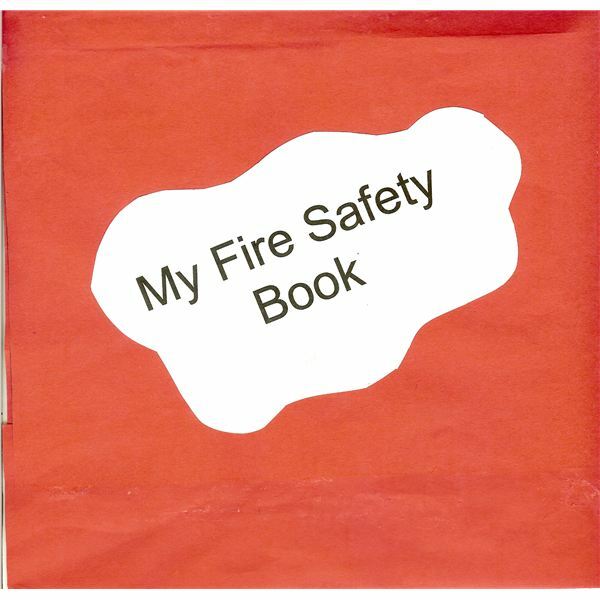 Next, the children should continue using their scissors to cut out the booklet title that reads, "My Fire Safety Book." For this next step, we will fold the red construction paper so that it resembles a matchbook. You may need to walk around the room providing individual assistance. With the 18" x 9" construction paper lying on the table before you, fold the left side of the paper over approximately 7 inches into the center. Then, fold the right side of the paper over approximately 2 1/2 inches into the center. When the two ends come together, they will overlap just slightly. Once again, open the red construction paper so that it is lying flat on the table. Students will use their glue sticks to glue the bottom portion of the white construction paper safety tips to the red construction paper. 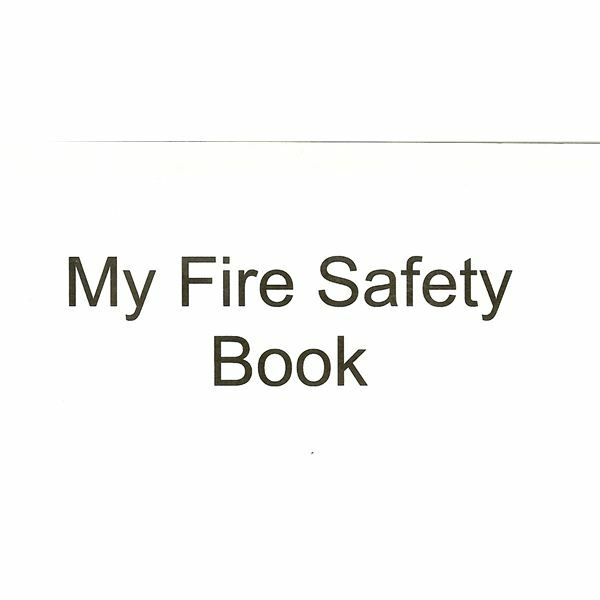 The white paper should be positioned near the right side of the red paper, so that when the right side crease of the red paper is folded to the middle you can still read the entire safety tip. Glue the bottom of the tip paper to the red construction paper, and then the red construction paper flap to the top of the bottom part of the safety tips. (See photo) ***Important…you are not gluing the entire white construction paper down. 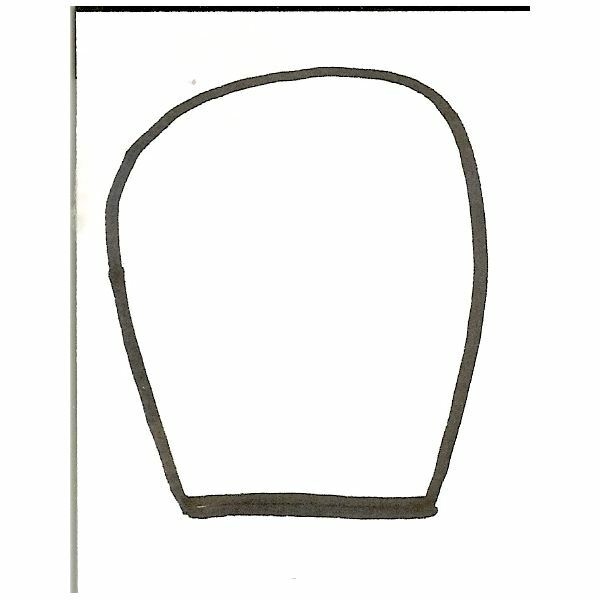 Each safety tip should be able to flow back and forth, unattached, to resemble real matches. If the Jell-O painted "match heads" have sufficiently dried, they may now be glued to the top of each safety tip. If they are not dry, continue on and save this step for later. Fold the left side of the red construction paper over and attach the book title to the front of the "match book." Your Smokey the Bear preschool craft is now complete! 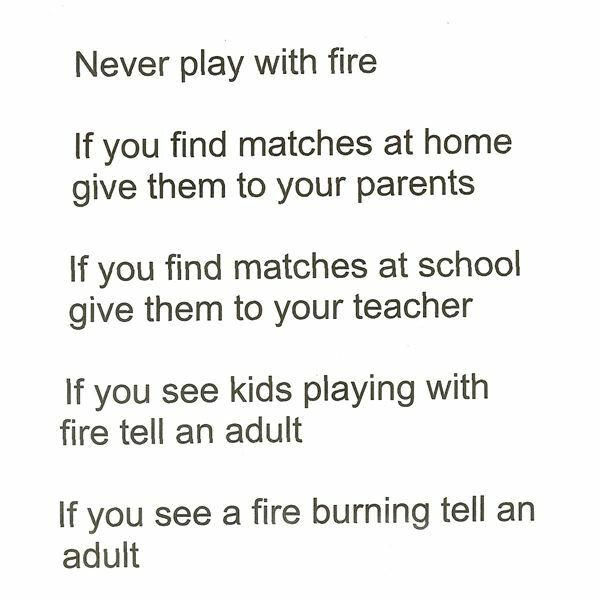 Use this activity as a springboard for other discussions about fire safety – at home, at school and while at play! Remember that education is the key to prevention! Just ask Smokey! Looking to extend the lesson? Consider taking a trip to visit your local fire station.